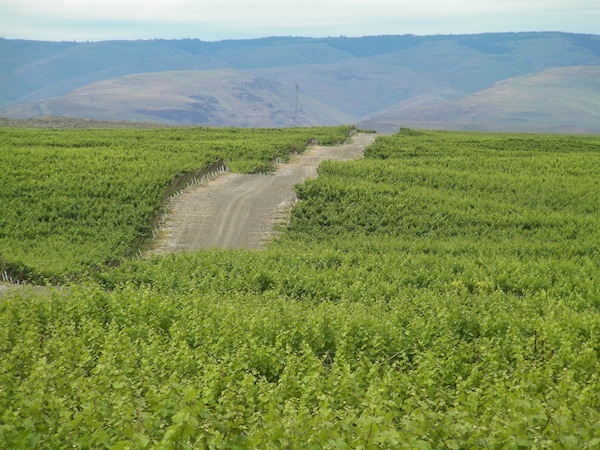 GEORGE, Wash. – In a year’s time, Evergreen Vineyard will be one of the biggest plantings in the state. It might already be the state’s best for white wines. Jerry Milbrandt, who grew up in nearby Quincy with his brother, Butch, began planting this site in 1998 not far from the famous Gorge Amphitheater. The vineyard began with 452 acres. Next year, the Evergreen Ranch project will cover about 1,200 acres. 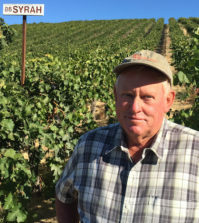 Evergreen Vineyard’s status grew as Chateau Ste. Michelle dialed in the profile for the state’s most famous white wine — Eroica Riesling. 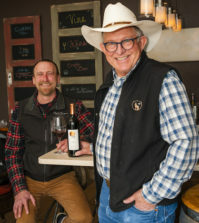 Last summer, Leighton left Efeste to work with Charles Smith Wines in Walla Walla, but he remains closely connected with Evergreen Vineyard and the Milbrandts. 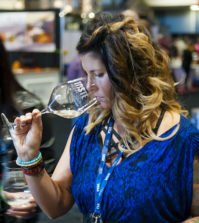 Now, Leighton is associated two more of the state’s most popular white wines – Smith’s Kung Fu Girl Riesling and Eve Chardonnay – which have achieved success in large part to Evergreen, making the transition from Woodinville to Walla Walla a bit easier for Leighton. The 2009 Lola Chardonnay he made for Efeste came off Evergreen and received 96 points from one publication, a high score for a white wine. Ste. Michelle’s ties to Evergreen cannot be overstated, and it’s not ironic that Jerry Milbrandt created the vineyard during the same time Ste. Michelle launched its Eroica partnership with famed German producer Ernst Loosen. In recent years, Evergreen Vineyard juice has made up 50 to 80 percent of the bottled Eroica, helping to provide the crystalline acidity and minerality craved by Loosen, Ste. Michelle head winemaker Bob Bertheau and white wine specialist Wendy Stuckey. Evergreen Vineyard’s other primary clients include L’Ecole No. 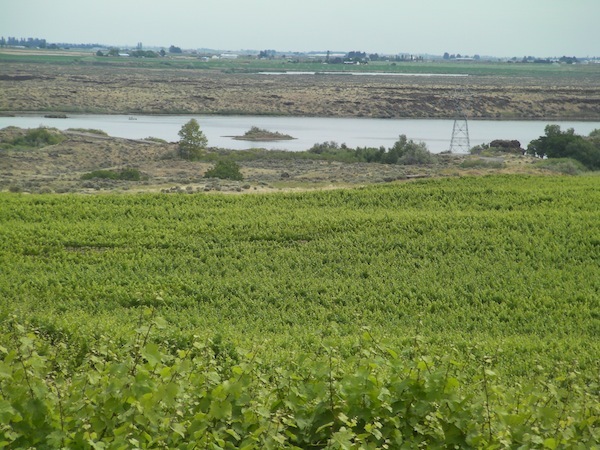 41 and Seven Hills Winery in Walla Walla, Milbrandt Vineyards in nearby Mattawa and Powers/Badger Mountain in Kennewick. While these latest plantings are devoted to Riesling and Chardonnay, other varieties grown at Evergreen Vineyard include Pinot Gris, Sauvignon Blanc, Viognier and Albariño. 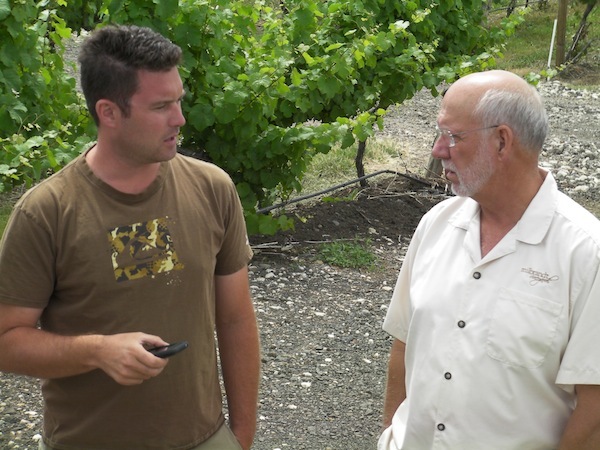 “The Pinot Gris doesn’t get the spotlight it deserves,” Flanagan said. A handful of wineries produced some delicious Pinot Noir from Evergreen, but that’s history now. Red varieties no longer are grown there. Those red variety experiments might have failed economically, but the missteps have been few since the initial plantings. Flanagan said there’s no doubt the Evergreen expansion, referred to as Ranch No. 1, 2, 3 and 4, will be as successful. 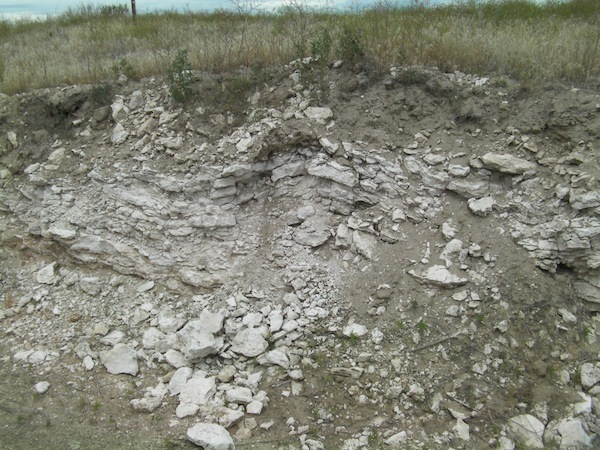 Soil types variety slightly with silty loam over basalt and caliche – a hard-pan layer of calcium carbonate. Yet, the elevation range is slight, between 1,100 and 1,300 feet above sea level and near the cliffs overlooking the Columbia River. The 2013 harvest at Evergreen Vineyard is tentatively scheduled to start Sept. 9 with Pinot Gris. Evergreen would appear to be in good hands for many vintages to come. Flanagan grew up in Issaquah near Tiger Mountain, but the family spent summers and holidays visiting relatives in Quincy. His father’s sister married Jack Jones, who took over their family farm. Jones has gone on to create one of the state’s largest wine production facilities and growing operations. 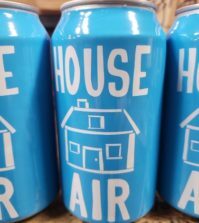 “Living in Wenatchee and working in the vineyards around Quincy was always the draw for me,” Flanagan said, an avid mountain biker, father of three and partner in Ryan Patrick Vineyards with his wife, Wendy, and the Milbrandts. They also are teaming up to develop Spanish Castle Vineyard, a new 180-acre site a few miles upstream from Evergreen along Highway 28. “This is a great area, and it’s exciting what’s going on,” Flanagan said.